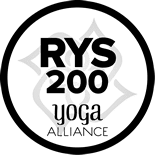 I am so thrilled to partner with my teacher, Rolf Gates, to offer Tribal Yoga’s 200-Hour and 300-Hour Vinyasa Teacher Training as an affiliate of his school. Our program is registered with Yoga Alliance. I will be the primary, in person, teacher for our training with guidance and additional virtual teachings from Rolf. Start your 200 Hour Teacher Training Journey today! Start your 300 Hour Teacher Training Journey today!